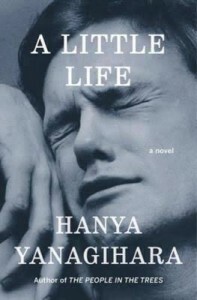 But in the New York Review of Books this month, author and critic Daniel Mendelsohn took exemption to the author’s treatment of the book’s main character, the tortured (and seemingly gay) Jude, declaring that, “the abuse that Yanagihara heaps on her protagonist is neither just from a human point of view nor necessary from an artistic one” and that “Yanagihara’s novel has duped many into confusing anguish and ecstasy, pleasure and pain”. “It is perhaps inevitable that there would be some ‘tussles,’ as Howard puts it, between him and Yanagihara about the published version of A Little Life. They were mainly about the punishment that Jude suffers. I suspect this little story is to be continued.